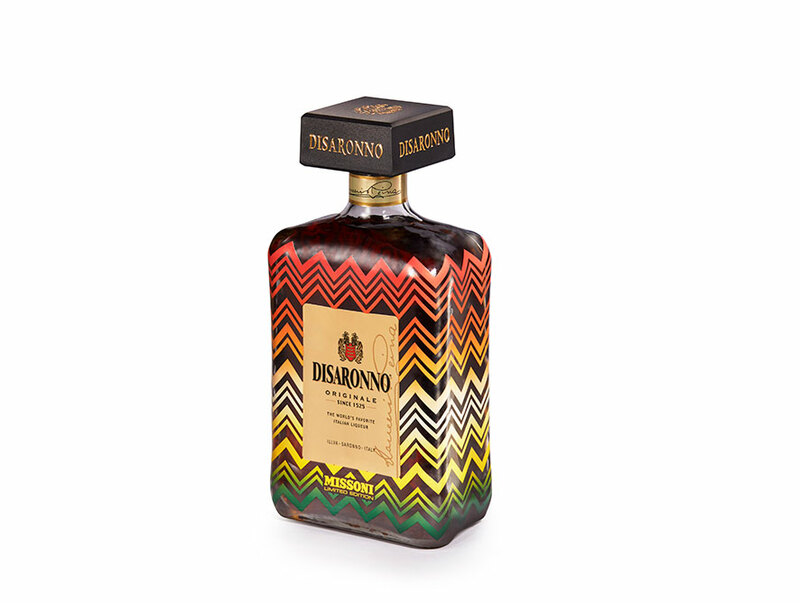 DISARONNO wears Missoni: for the fifth consecutive year, the world’s favourite Italian liqueur presents an exquisite limited edition, designed by Missoni this time, the famous Italian fashion house. The zig zag envelops the bottle and turn it into a true collector’s item, a perfect gift for those who are fashion savvy and cannot do without Disaronno, even at Christmas. 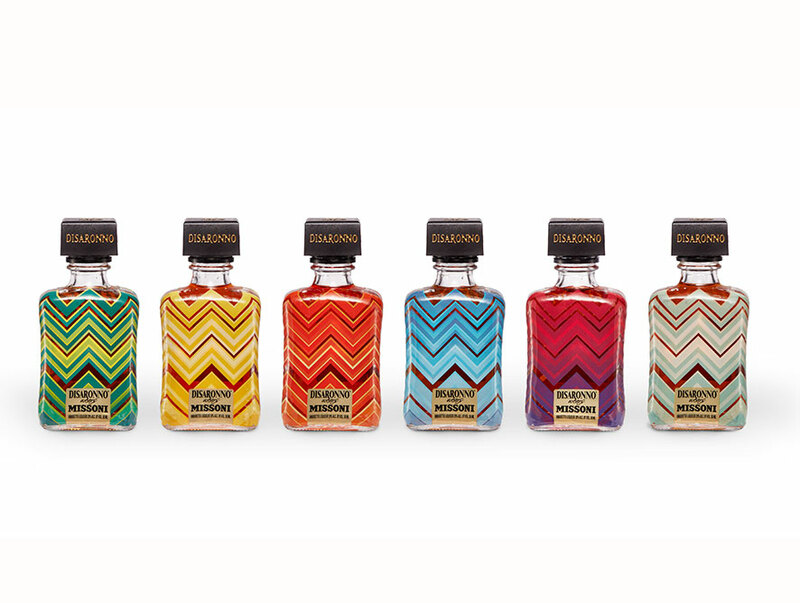 The collaboration between Disaronno and Missoni also gave way to the creation of six delightful limited edition mini bottles to collect, available in packs of three. The ICON project celebrates its fifth anniversary, and once again sees Disaronno paired with an Italian fashion brand. After its previous editions with Moschino, Versace, Cavalli and Etro, the project continues to support the charity Fashion for Development, sponsored by the United Nations. This year, ILLVA Saronno will donate part of the proceeds of sales to assist in providing a tangible contribution to the development of the numerous humanitarian efforts in Africa. The exclusive limited edition will be on sale worldwide from October 2017. 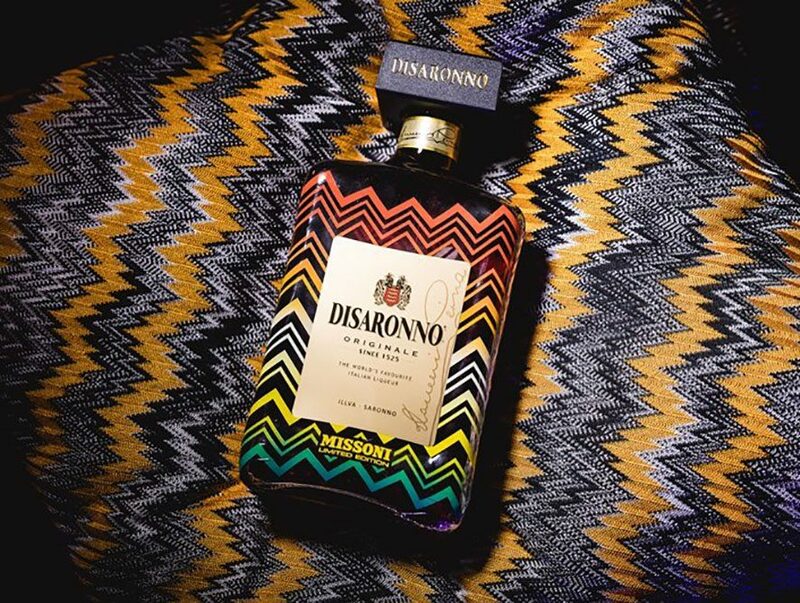 Created for the limited edition, the Disaronno Wears Missoni Sour cocktail mixes the distinctive taste of Disaronno with lemon, grenadine and blue curaçao.